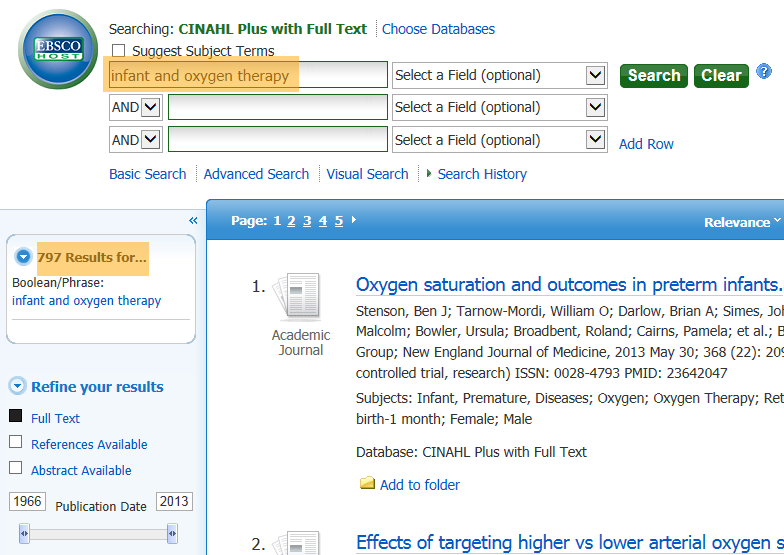 Q. I'm looking for a nursing article published in the last 5 years about oxygen therapy for infants. 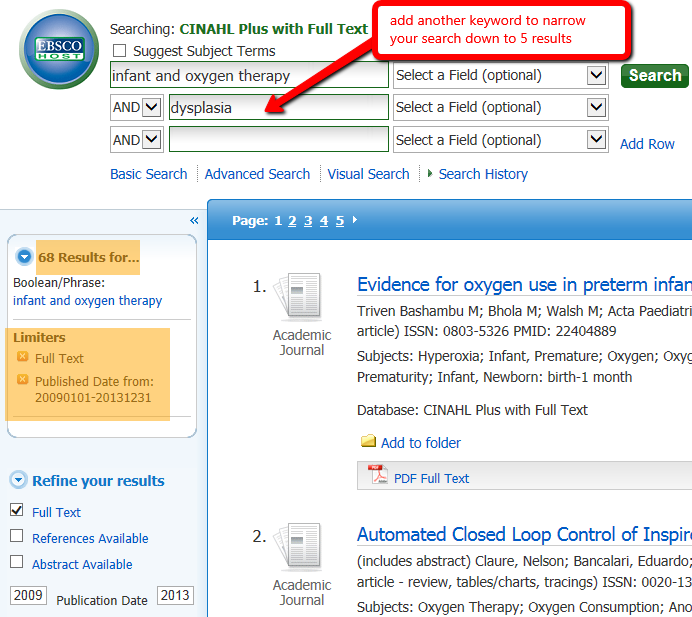 1. login to the CINAHL Plus full text database for nursing articles. 5. Don't forget that this database offers beautiful citations for your works cited! 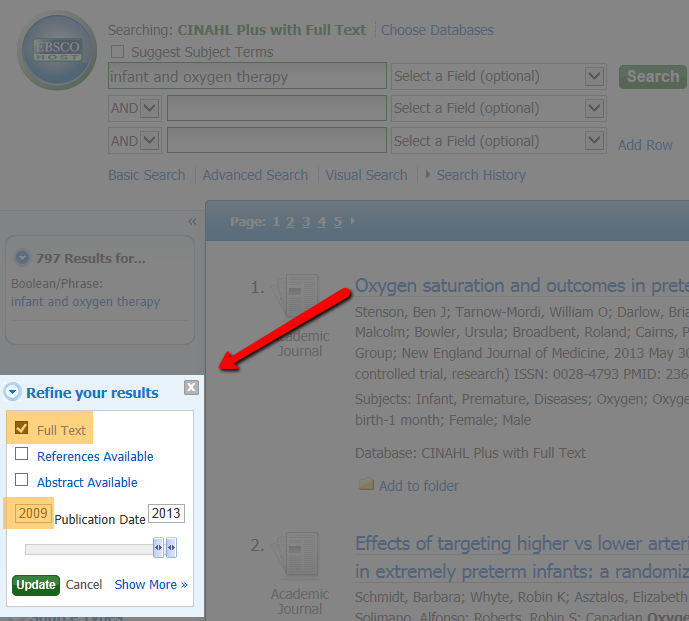 Just click through into an article and look for the citation tool on the right hand side. Any other questions? Don't hesitate to reply to this post. We love our nursing students! See also: Do you have the NCLEX prep exam?